2) much slower speeds available thanks to the dual potentiometer being replaced by 2 x Fulltone Custom-made Optocouplers. 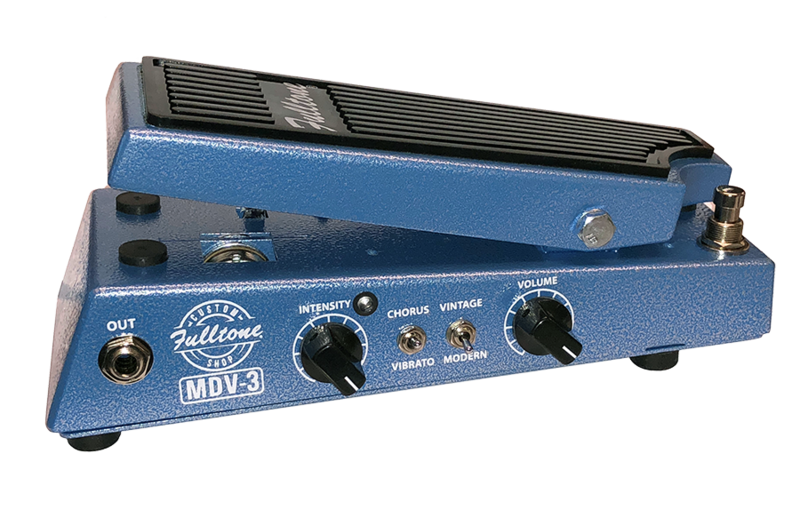 4) like its identical circuit-twin the CS-MDV mkII, it only draws 35mA of current allowing you to power it with just about any 18 volt DC outlet, or even with 2 x 9 volt DC outlets by using the Voodoo Lab PPY "voltage doubling cable." 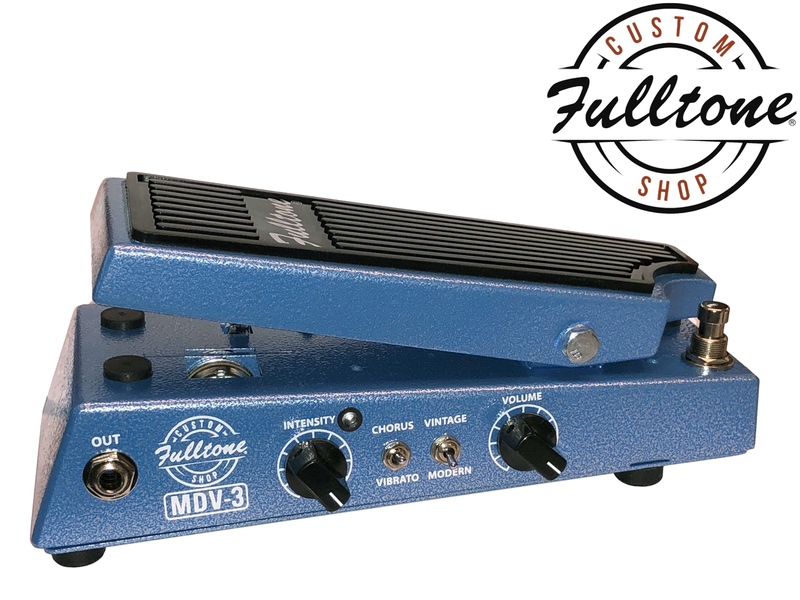 All MDV-1 & MDV-3 pedals sold after 2/10/2015 operate exclusively on an 18 volt DC power supply. 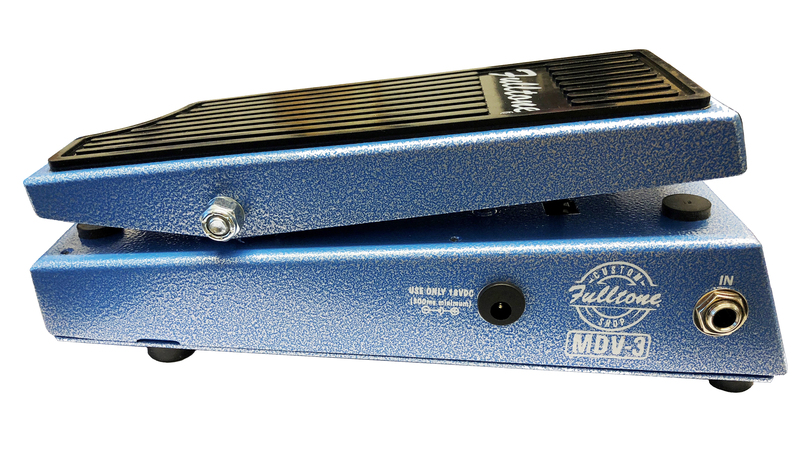 The Fulltone IPS-18 is the only Noise-Free switching-type adapter you can get, and is included with your purchase. The Fulltone IPS-18 is "regulated" which means it produces exactly 18 volts, keeping the internal bulb at the correct brightness. Do not use other "switching type" power supplies as they all inject hiss, hum, and a high-pitched squeal when using certain effects. 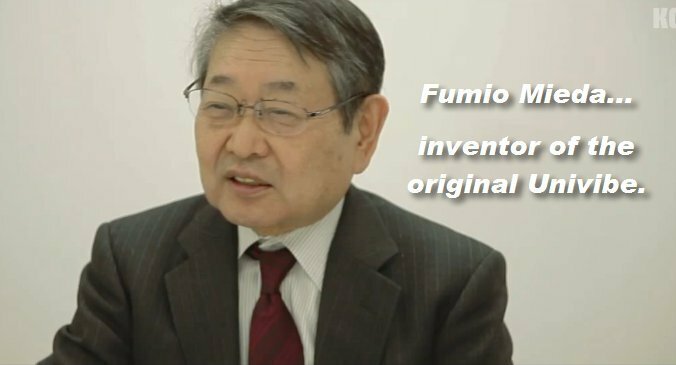 There are a LOT of pedals claiming to be "authentic vintage Univibe clones" on the market...the small ones are merely a glorified MXR phaser filled with opamps with a few capacitor changes. That's not a Univibe! So how is one to know which pedals are real and which ones are just a cheap shortcut? 4 x glass covered/hermetically-sealed photocells and an incandescent bulb on the circuit board. I go one step further...and NO ONE else does this, I took many real 1960's 'cells and blueprinted them, not only their dark/bright resistance, but also for their all-important rise and fall times as they react to the light turning on and off. This is deep E.E. stuff, cannot be done unless you have the know-how and the expensive scopes. Totally discrete electronics, i.e. 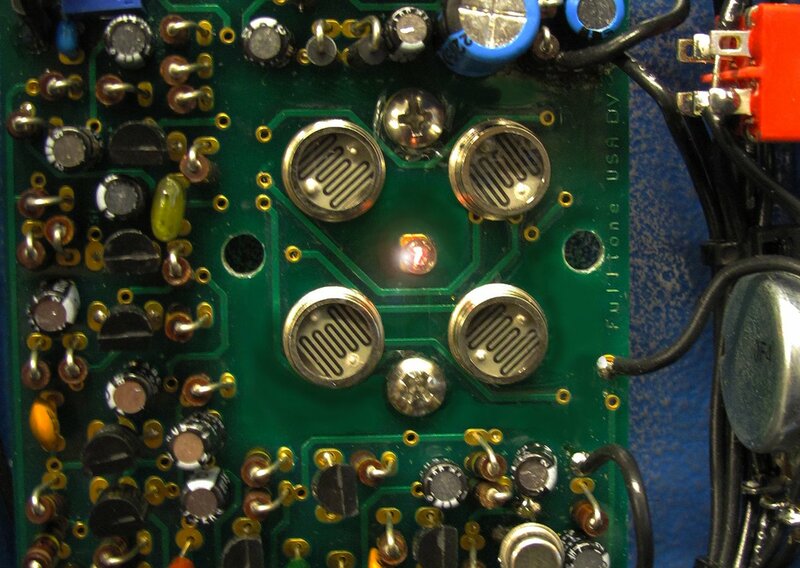 NO OPAMPS in the audio path! 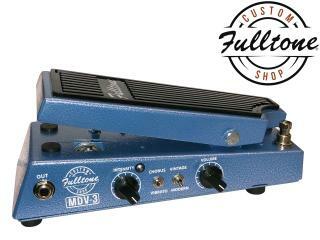 In typical Fulltone fashion, I also manufacture my own geared potentiometer & Optocouplers used to control the speed, which is why Fulltone 'vibes get a much wider range of speeds than other 'vibe clones. 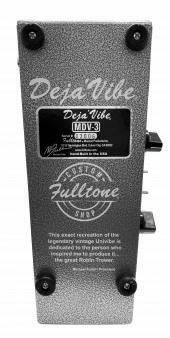 I've been building "authentic vintage Univibe clones" longer than anyone, since 1992. Mine are used by Robin Trower, Peter Frampton, Doyle Bramhall II, and countless others... by the people who know great sound and won't settle for less. I make tools for people who play... so go to a Fulltone Custom Shop dealer, plug in and listen for yourself, you'll walk out with Fulltone more often than not.